If you can understand what causes aggression and violence you will be better prepared to manage it. Aggression and violence may be triggered by the Limbic brain (A ‘chimp’, primitive and emotional), the rational-brain in the cerebrum (You the Human) may not be given the chance to rationalise or control these thoughts, words and actions. 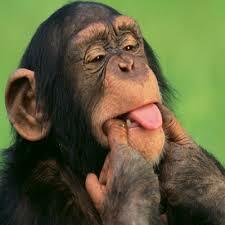 The ‘Chimp’ is emotional and is quick to exhibit emotions such as anger, envy, greed, jealousy, territoriality, etc. The rational brain must be trained to identify the behaviours of the Chimp and act to pacify it. Managing the instinctive responses of your own ‘Chimp’, when faced with someone else’s Chimp, will be vital if you aim to de-escalate the conflict back to two Humans having a rational debate. Understanding the impact of adrenaline of physical and mental states. Assess the chances of escalation and threat level, using JACA.